Thank you to the Stone Family and Billabong Zoo staff for hosting our first catch up of 2019 for Wauchope Chamber Members and guests! Thank you to Billabong's Chef Kathy who put on a scrumptious spread for us all. Networking and nibbles were followed by an update of Chamber happenings and local issues. Mark Stone then shared an update on the amazing things happening at the Zoo! While we can now see the transformation inside the entry hall and cafe, Mark shared that he can't wait to get stuck into the external improvements they have planned. Billabong Zoo enjoys a strong reputation on the tourism scene. Mark highlighted the team would love to see more locals come and visit the animals or just enjoy a meal at the cafe. So if you haven't been in to say hello for a while, now is the time to get to it! Thanks again to Mark, Kathy, Brooke, Lionel,and Kathy (chef) for making it all happen for us to come visit~! This follows a motion put by Labor’s Doug Cameron in the Senate yesterday, which would restore the rights of casual workers to claim annual leave entitlements despite having already been paid a causal loading for the exact same reason. Even more terrifying for Australia’s 2 million small and medium businesses is the risk that this Labor Party motion could open the door for back pay claims going back six years, potentially exposing small and family businesses to crippling claims. “Mr. Shorten was a union leader once, and he would have cut his teeth in a system that was always designed to ensure fairness to all parties in our workplace relations system,” said Mid North Coast NSW Business Chamber Regional Manager, Kellon Beard. “It is an Australian value that we hold dear, not to rip someone off, as we all saw in the recent Banking Royal Commission, and clearly using a loophole in the Fair Work legislation to allow a worker to get paid twice for the same entitlement is not what Australians stand for,” Mr. Beard said. “If this becomes the law, it could send thousands of small business owners to the wall, and see their employees, both permanent and causal, out of work. “Small business owners symbolise our proud history of ‘having a go’ and they try to do the right thing, but we can’t keep making it more difficult for them to create jobs for other Australians. “This proposed change would have a very destructive effect on the Tourism and many other industries on the Mid North Coast. “Our local business community is already being crunched by high costs – electricity costs surge higher by the day, they’re being crunched by drought, we’ve got State Labor threatening to lift payroll taxes and now Federal Labor wanting to make it harder to employ people as well. “The role of any Federal Government, regardless of the party in charge, should be to make it a better country for all of our citizens and not just about trying to appease the ACTU,” Mr. Beard said. Council is currently seeking community input on a proposed Orbital Road for Port Macquarie. This proposed road is an important long-term solution to reducing traffic congestion and addressing our region’s future transport needs. The proposed Orbital Road consists of the collective East-West Link (Ocean Drive to Oxley Highway), the North-South Link (Oxley Highway to Boundary Street) and the flood-free Primary Airport Access Road. 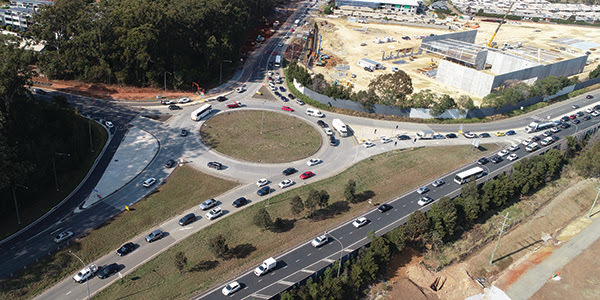 It is a new approach to improving the road network in and around Port Macquarie and will improve connectivity to key destinations including the Health and Education Precinct, the Airport and the Regional Sports Stadium. You can attend the drop-in sessions at any time during the set three-hour period to learn more about the project and meet with our technical and community engagement teams’, who will be available to answer questions. If you are unable to attend one of the drop in sessions, you can learn more about the Orbital Road project on our website at haveyoursay.pmhc.nsw.gov.au/orbital-road. Here you will find a range of project information including the proposed Orbital Road Feasibility Study, frequently asked questions, maps, fact sheets and a project information brochure. We also encourage you to complete our online survey and to submit any feedback via the website. Your feedback is important to help us make the best possible decisions about the next steps for this important project that will support our growing community. Holiday Coast Credit Union take your financial security seriously. SCAMS come in all shapes and sizes and as identified by the ACCC ‘the best way to protect yourself is through awareness and education’. 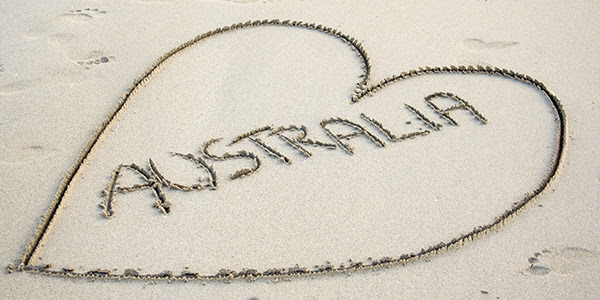 Australia Day is a day for all Australians, no matter where our personal stories began. 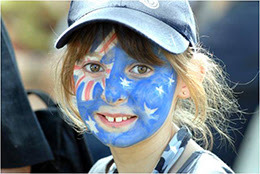 It’s the day to celebrate our diversity and the values that we share as the Australian community. 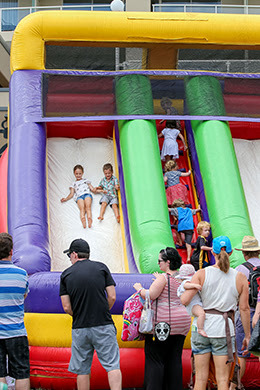 We've planned a day of celebrations across the region this Australia Day with a number of family friendly activities happening in Port Macquarie, Wauchope and the Camden Haven. The state’s peak business organisation, the NSW Business Chamber, believes proposed regulations being introduced by the Federal Government to prevent ‘double dipping’ by casual workers will be met with relief by business owners across the country. “I commend the Government for addressing the absurd situation where employees can double dip by receiving a casual loading in lieu of annual and personal leave, and then receive those exact same paid leave entitlements as well,” said NSW Business Chamber Regional Manager, Kellon Beard. “These new regulations are a victory for common sense,” Mr. Beard said. “It is disappointing that the Government was not able to obtain bi-partisan support for a legislative solution to address all of the problems arising from the recent Workpac v Skene decision. “Without the new regulations, we are left with Fair Work laws that are not fair and do not align with the reality of casual employment in the modern workforce. “Many employers engage casuals to meet operational demands of their business, and many employees choose to be engaged as casuals so that they receive their 25% casual loading. Many of these consensual arrangements, which have operated in practice for decades, now carry the risk of landing employers with a double whammy. “It’s why the NSW Business Chamber recently proposed the idea of introducing a new category of worker, a perma-flexi, which allows casual employees to be engaged on the same flexible basis as they always have been, but with leave entitlements being provided in exchange for the payment of a 10% loading. “It is staggering that the ACTU continues to argue against the proposed flexible category of employment, when the Chamber’s proposal gives casuals the option of obtaining the employment security and benefits that the ACTU has been publicly calling for,” Mr. Beard said. As both a key decision maker in your industry, and a valued Chamber member, we would greatly appreciate your participation in this important survey. We do apologise if you are receiving this email and have already completed the survey previously. What is Business Conditions Survey about? Your responses help the Chamber to advocate for a better operating environment for businesses in NSW. If you'd like to see what the work and efforts of the Chamber, armed with your feedback, have delivered for business in 2018, please click here. Your participation will also give you the chance to win an Apple iPad. First prize: You will be entered into the draw to win an Apple iPad Wi-Fi (32gb) valued at $469. Runner-up prizes: You will also have the chance to win one of three $50 Eftpos gift cards. Survey close date: Please complete the survey before 5:00pm AEST Monday 17 December 2018. Previous survey results: Past Business Conditions Survey results can be found on the NSW Business Chamber website. Share - Please forward this email to your colleagues and business associates so they can also make their opinions count. Privacy - Responses will be reported in aggregate and no contact details will be made available to any third party, although we may contact respondents that agree to be contacted for media responses. Terms and Conditions are included below. Terms and Conditions: The prizes consist of one major prize (1 X Apple iPad Wi-Fi 32GB model valued at $469) and three runner-up prizes (3 X $50 eftpos gift cards). Instructions relating to gift card activation will be provided to the winner. There is no extra cost in claiming the prize. The prize is not transferable. The prize is not redeemable for cash. The participant must be over 18 to be eligible. The draw is limited to one entry per client. Closing date for receipt of entries is 5:00 pm AEST Monday 17 December 2018. The judge's decision is final. The winners will be drawn on Monday 14 January 2019, at 4:00pm at NSW Business Chamber's premises on Level 15, 140 Arthur Street, North Sydney NSW 2060. The winners will be notified by NSW Business Chamber by email. The winner’s names will be published on www.nswbusinesschamber.com.au. The prizes must be claimed by Monday 21 January 2019. If the prizes are not claimed, a second chance draw will be drawn on Tuesday 22 January 2019 at 4:00pm. The prize is offered by NSW Business Chamber, 140 Arthur Street, North Sydney NSW 2060. Copyright 2018 NSW Business Chamber (ABN 63 000 014 504) and contributors. All rights reserved. 140 Arthur Street, North Sydney, NSW, 2060, Australia. It is with great appreciation the Wauchope Chamber of Commerce and Industry Inc has accepted a Community grant from Port Macquarie - Hastings Council for the Wauchope and Hinterland Community Christmas in Bain Park which will be held on Saturday 15th December 2018 from 5pm. 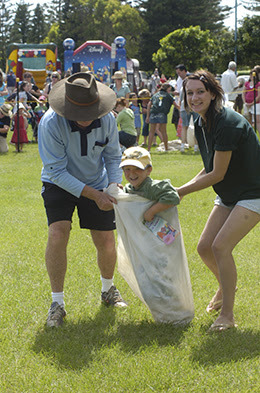 2018 marks the 8th year of this annual community event and each year has seen increased participation by locals and visitors alike. The grant goes a long way to assist with the event basics including the stage, sound and lighting, activities, promotion, signage and more. The Wauchope and Hinterland Community Christmas in Bain Park is inviting entertainers, community groups, schools and stall enquiries. More information can be found on the Chamber website here. Bring the family, friends, a rug or chair and enjoy a night out celebrating the festive Spirit with your fellow community members. Everyone is welcome and the event is very child friendly! Be sure to click you are 'going' on the Facebook Event Page to receive updates.